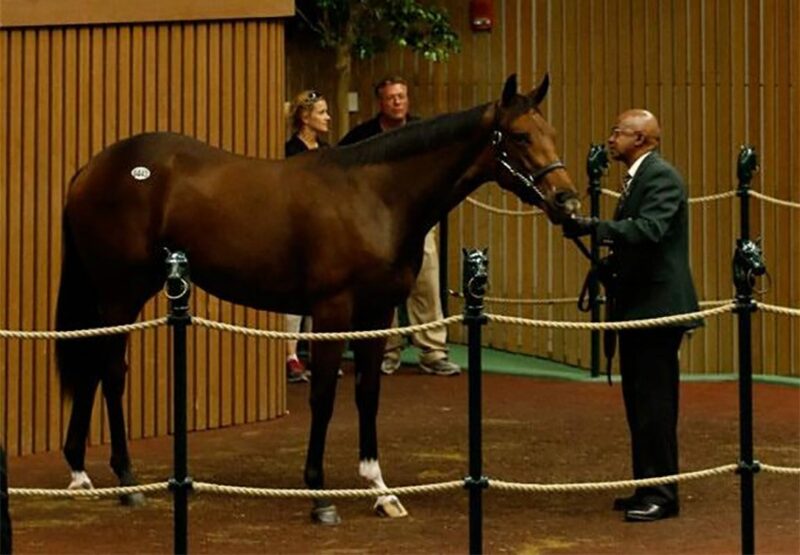 A filly by champion Australian sire Fastnet Rock starred on the second day of the 2015 Keeneland September Yearling Sale when fetching $1million to be the top selling filly of the session. Consigned for sale by Hill ‘n’ Dale Sales Agency, the blue-blooded filly is a three-quarter sister to Champion European 3YO Filly Peeping Fawn and half-sister to Grade I winner Thewayyouare from stakes-placed Sadler’s Wells mare Maryinsky. A daughter of Grade I Kentucky Oaks winner Blush With Pride, Maryinsky is a half-sister US Broodmare of the Year Better Than Honour, the dam of US Grade I winners Rags to Riches and Jazil. The royally bred filly was snapped up by Spendthrift Farm. “She has as good a female family as there is in the world, so we’re happy to get her,” Spendthrift General Manager Ned Toffey said. “We think she is going to be a great athlete. She doesn’t have to run a step to be worth a whole lot of money.” Spendthrift, which has farms in Kentucky and a new base in Australia, has invested in several offspring of Fastnet Rock. “The world is shrinking,” Toffey said. “These horses are going to gain acceptance in both hemispheres and on different continents. We’ve got a very nice Fastnet Rock filly that we bought out of this sale last year and we like her. We have two in Australia and we like them quite a bit, too. I think they can run anywhere. There is going to be continued acceptance (of foreign sires.) A good horse is a good horse.” Fastnet Rock has sired Group I winners in both hemispheres this year with Qualify and Diamondsandrubies flying his flag in the UK and Ireland, while in Australia Magicool won the BRC Queensland Derby. Fastnet Rock has also had a colt from Wonder of Wonders sell for $350,000 at this sale and a filly from Damson for $200,000.